SX50 50W 1x12'' amp Combo with Classic tube Emulation and Digital Effects. Features two independent channels (one clean and one overdrive) offering three bands of active EQ, deliver all the tonal flexibility you need - and the 24 Bit digital effects, with awesome reverb, chorus, flange, and delay patches will make your sound rich and full. Line out, headphone jack, effects loop, and footswitch jack round out the features of this great amp. SX100 100W 1x12'' amp combo. Classic Tube Emulation, awesome digital effects, famous X4 knobs, rich black vinyl covering and the brass red jewel light continue to make the American made SX Series one of the hottest amps on the market today! No one will know you're not using a tube amp. 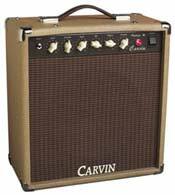 The reason is Carvin's exclusive "SX" Classic Tube Emulation which has received rave reviews through the years by such notable amp gurus as David Hicks, Craig Anderton, and Pete Prown . 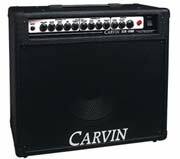 Carvin's Vintage 16 is the amp everyone has been asking for. This "all tube" amp features 16 watts from two EL84's and is switchable from its normal Pentode to "Triode" operation delivering 5 watts. There is nothing sweeter for recording! Great soak and tone is delivered from 3 12AX7 tubes. The Vintage 16 features Volume, Soak, bass, mid, treble and reverb (Accutronics tank). The efficient 100w GT12 speaker delivers a big sound from a small enclosure while delivering a clean classic guitar sound with perfect balance and clarity. The 2 x 12", 50W 212BELAIR all-tube combo amp has been reviewed as one of the finest vintage amps on the market today. True vintage tones give open-ness and breath to your playing as you power soak the EL84 tubes. Dual channels offer all the vintage features you need including long-tail reverb. Dual GT12 speakers accurately reproduce a full-body resonant tone. The AG100D 100W Acoustic Guitar Amp, with Digital Effects, 3 CH acoustic guitar, bass & PA amp. High powered 100 watt RMS output. Fabulous sound from heavy-duty PS12 woofer and horn tweeter. Tuned-ported enclosure for enhanced deep bass for bass guitar. Dual 24-bit digital effects - each of the 3 CH's can be assigned to Effects 1 or 2. You can now have chorus for guitar and reverb for vocal - two effects at the same time! The dual-engine effect offers reverbs, chorus, echoes, delays and flanging for up to 256 selections each. All effects are in STEREO when using line-out to mixer or other stereo powered speakers. MTS3200100W MTS all-tube head. The Master Tube Series is an all tube 50/100 watt guitar amp. Its multiple warm tube sounds gives incredible violin like sustain. Any style of playing from country to hard rock can be achieved. CH 1 delivers shimmering clean tones while CH 2 adjusts from mild soft-clip crunch to a full power soaked sustain. The 5881 power tubes are used for their smooth, responsive sound and high output. MTS3212 100W Master Tube Series 2-12'' Combo. The Master Tube Series is an all tube 50/100 watt guitar amp. Any style of playing from country to hard rock can be achieved. The amp section has the same features as the MTS3200. The buffered effects loop is designed to work with any effect from battery powered (-10) to pro-rack units (+4). For the perfect tone, the matching enclosures feature BR12 British Series 12 speakers. 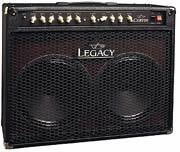 VL212 Legacy 100W combo. Take one of the best, most influential guitarists of our time, then let him design his ultimate amp, and you've got the Legacy amplifier by Carvin. A seamless combination of art and tone, the Legacy is the product of countless hours of development and testing, to create this one-of-a-kind amp. Steve Vai Worked very closely with Carvin Engineering to develop the sound and look of the Legacy Amplifiers from the choice of EL34 tubes to the Celestion Vintage 30 speakers. 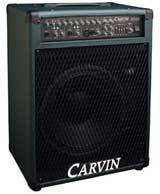 Legacy Cabinets feature Celestion Vintage 30 Speakers. 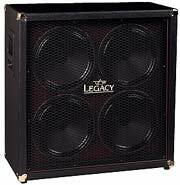 They were selected for use in the Legacy by Steve Vai after comparing them to all other available speakers and finding them far superior in richness and tone. This extension cabinet is for use with the VL212 combo.